Crude oil and derivatives hydrocarbons are an indispensable raw material in present-day life. Therefore, oil and oil products are also quantitatively the main environmental pollutants worldwide. The environmental impact of insoluble contaminants in water and soil has become a priority of study for the scientific community. 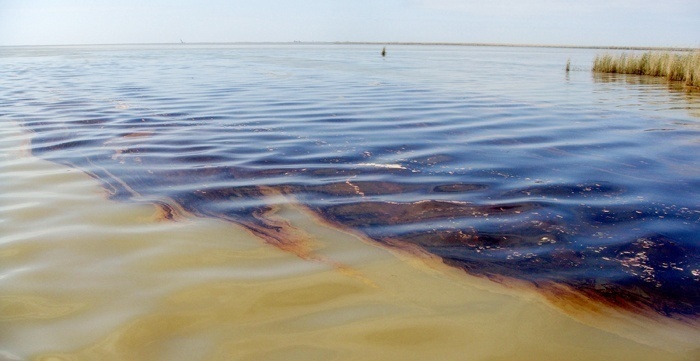 After the occurrence of an oil spill, conventional oil remediation methods such as physical removal with booms, skimmers and absorbent materials are deployed, as these can help in the removal of oil from the surface water layer, although complete removal is never achieved. Therefore, it is mandatory to develop novel methodologies and procedures that contribute to the bioremediation of sites contaminated by these hydrocarbons as bioreactors. Hydrocarbon-degrading microorganisms that are able to degrade hydrocarbons could be cultivated in bioreactors and play an important role in this biotechnological treatment. One of the limiting factors in this treatment is the toxicity of hydrocarbons in high concentrations; due to non-dispersed oil-phase remain in macroscopic drops. A possible solution is the use of an air-liquid dispersed bioreactor with microbial consortia that consumes hydrocarbons in emulsified droplets as a sole carbon source growing at high concentration of hydrocarbons. Most of the works for environmental purposes carried out with three-phase bioreactors, only report the oxygen transfer as an operation criterion, without taking into account the limitation by a mass transfer that can add to the system the presence of an immiscible substrate as hydrocarbons, which can have a low solubility in water, decreasing its bioavailability. On the other hand, several studies evaluating the biodegradation of hydrocarbons use low dispersed phase fraction (ϕ) << 0.1. However, a recent work evaluates the transfer rates of hydrocarbon at ϕ = 0.1 in airlift bioreactors. Airlift bioreactors are cylindrical vessels containing a split or a draft tube, establishing two characteristic zones: riser and downcomer. Typically, the gas-phase is injected into the riser, and the density difference causes the driving force for recirculation, are widely used devices for industrial biotechnological applications, like wastewater treatment, biomass and high-value chemicals production and hydrocarbon bioremediation. This recent investigation was focused into the hydrodynamics related to the mass transfer of the oil and gaseous phase in an airlift reactor, using a high dispersed phase fraction for biodegradation purposes, in a simulated biotic medium. We obtained the highest Reynolds differences (3400 < Re < 5400) and low liquid velocity differences between the aqueous and oil phases (0.02–0.05 m s−1) in the riser in an assayed superficial gas velocity. The hydrocarbon specific mass transfer area was increased due to the presence of a greater hydrocarbon volume, which enhanced the volumetric hexadecane gas-liquid mass transfer coefficient compared to other works at ϕ < 0.1. Thus, high hydrocarbon transfer rates were obtained through a 14-day batch culture. Conversely, the high ϕ value promoted a volumetric oxygen gas-liquid mass transfer coefficient enhancement. The oxygen transfer rates were improved because of an increase in the oxygen saturation concentration. The maximum uptake rates obtained were 3.44–7.74 g HXD L−1 h−1. The increase in Ug with a high ϕ value, led to a positive effect that improved the mass transfer of HXD and oxygen, allowing high hydrocarbon uptake rates. No negative effect of toxicity was detected even working at high hydrocarbons concentration. The explanation of this performance could be the next: Hydrocarbon uptake by microorganisms in a multiphase bioreactor can be carried out preferent by direct interfacial contact of microorganisms with hydrocarbon drops and not by emulsified microdroplet uptake. Our study reveals that strategies which focus only on mass transfer may not be sufficient to design a multiphase bioreactor since direct interfacial is the predominant mode of hydrocarbon uptake instead of emulsification. These findings are described in the articles entitled: Hydrodynamic effect of dispersed phase fraction on the mass transfer and uptake rate of hexadecane by an oil-degrading microbial consortium in an airlift bioreactor; Predominant mode of diesel uptake: Direct interfacial versus emulsification in multiphase bioreactor; and Study of variation in droplet size of an aqueous–diesel emulsion formed by an oil-degrading microbial consortium, recently published in the Biochemical Engineering Journal; Chemical Engineering Science and the Journal of Petroleum Science and Engineering, respectively. These works were directed by Manuel Alejandro Lizardi-Jiménez from the Mexican National Council of Science and Technology (CONACYT) and realized in Tierra Blanca Superior Technological Institute as a part of Cathedra’s-CONACYT program. Manuel, Biotechnology Ph. D. from the Autonomous Metropolitan University in México, is currently interested in environmental bioprocess engineering, particularly in remediation of hydrocarbon-polluted sites by using hydrodynamics and mass transfer as bioreactor design criteria. He works for Mexican National Council of Science and Technology (CONACYT) at Universidad Autónoma de San Luis Potosí. Previous Post« Previous Premature Aging In Cancer Survivors: Why It Happens And What To Do About It!